Congratulations! You just found out that you’re pregnant and you’re thrilled. You can’t wait to experience the progression of that beautiful little baby growing inside you. This App is developed by parents for parents, and has everything you need! Weekly pregnancy info Personal diary Belly photo gallery Due date calculator Baby size visualizer Food guide Facebook & Twitter integration Baby shopping lists Baby names by country When to call the doctor As a family business we also feel it’s important to give something back to less fortunate children and babies in the world. Read more about this on our website www.thesmilesfactory.com Consistently well rated application Great App! Morris United States Nice to know that part of the money from advertising goes to charity. Lovely pictures and great food guide! Definitely worth downloading. 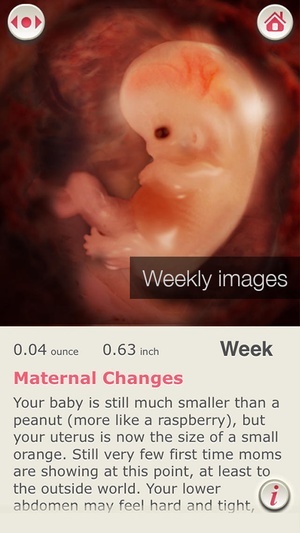 Lovely, Cheery App Lijah19 United Kingdom got many pregnancy apps and this is the best. Very personal and cheery with great advice. 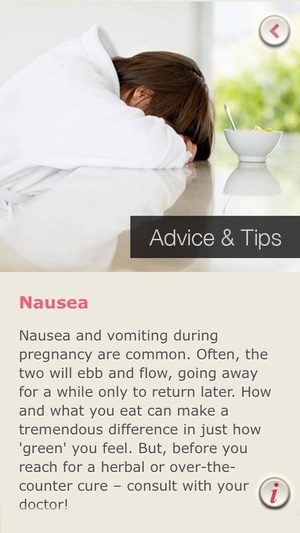 The reminders on foods to avoid is fantasticevery pregnant woman and her partner should read them. Love it SarahM Austalia This app has been very helpful. This is my first pregnancy and this gave me a lot of info about how should be feeling through different stages of the pregnancy. t was very accurate and a great guidance tool. Check these links to find your download for Pregnancy Smiles ™ for & iOS or for your device iPod TouchiPadiPhone. The app Pregnancy Smiles ™ is compatible with te following devices.